Haifaa Al Mansour's Wadjda is a landmark film for myriad reasons; not only is it the first film ever completely shot in Saudi Arabia, where cinemas are banned, it was also directed by a woman. Living under strict Sharia law, women in Saudi Arabia are not allowed to be seen or even heard by men, and Al Mansour often had to direct street scenes via walkie talkie while hiding in a van. That makes Wadjda the most bravely defiant film of the year, even more so than the petulant and childish Escape From Tomorrow, which was covertly filmed in Disney World without permission. Unlike that film, Wadjda means something, carrying a much greater cultural significance. It is an unassuming film, a charming tale of a young Saudi girl who simply dreams of having a bicycle. We know young Wadjda (Waad Mohammed) is different right from the start. Instead of the conservative black shoes the other girls in her school wear under their hijabs, she wears Chuck Taylors, and surreptitiously sells football trading cards under the teacher's noses. On her way home one day, she has a run in with Abdullah, the young neighbor boy, whom she beats at a foot race after he swipes her sandwich. 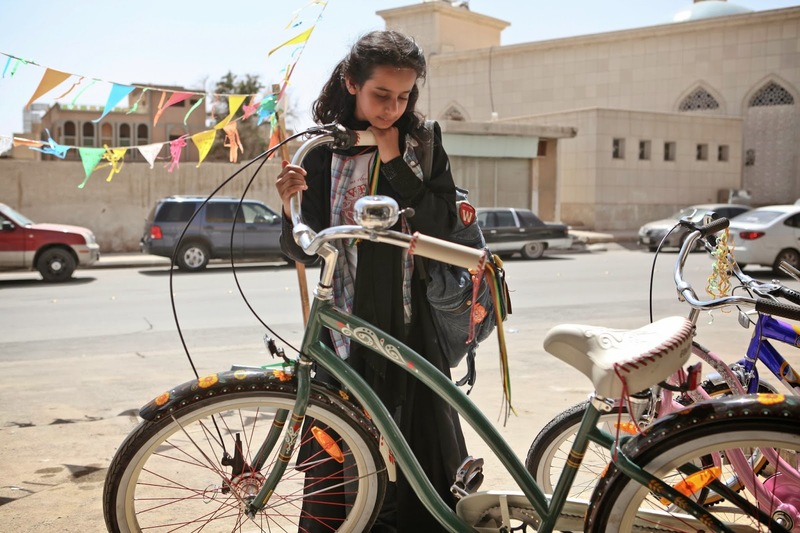 When he returns with a bicycle and makes off with her headscarf, Wadjda becomes determined to get a bicycle of her own to show him up. Bicycles, however, are not something a respectable Saudi woman should have, her mother tells her. So she must find other ways of achieving her dream. When the school religious club announces a Koran contest, Wadjda decides to join up to win the prize money and buy the bike herself. Thrilled that she seems to be turning over a new leaf, the school's stern headmistress welcomes her with open arms, and all the while Wadjda is forging a secret friendship with Abdullah and plotting to finally buy the bike of her dreams. Wadjda doesn't feel like a work of activism, nothing about it suggests it is the revolutionary work that it actually is. It is a gentle act of defiance, a film about women by women in a country that completely devalues female worth, where women are only objects for men to control. That makes Wadjda something kind of radical, a quiet rebuke of repressive religious values that make no sense in a modern world. It seems odd somehow that such a simple, endearing film could be so subversive, and coming from anywhere else in the world it might not seem so, but as a Saudi film, by a woman no less, Wadjda represents something extraordinary indeed. On its own, the film is a lovely story, a film about individual perseverance in the face of repression. But in the larger context it becomes something much greater because of what it represents. Al Mansour directs with a remarkable sensitivity, and young Mohammed is an exceptional and charismatic find. Their courageousness has given us something truly special - a beautifully modest act of rebellion that stands up to its country's patriarchal society simply by existing rather than preaching. And that makes Wadjda one of the most important films of 2013. 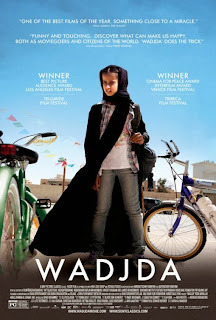 WADJDA | Directed by Haifaa Al Mansour | Stars Waad Mohammed, Reem Abdullah, Abdullrahman al Gohani, Ahd | Rated PG for thematic elements, brief mild language and smoking | In Arabic w/English subtitles | Now playing in select theaters. Opens today, 10/25, at the Manor Twin in Charlotte, NC.